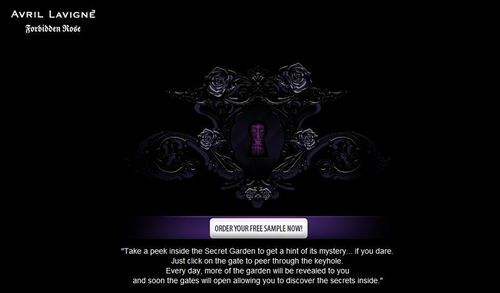 Forbidden Rose Garden. . Wallpaper and background images in the Forbidden Rose club tagged: gothic garden forbidden rose fragrance <3 commercial avril lavigne 2010 beautiful. Behind the Scenes of F.R commercial!